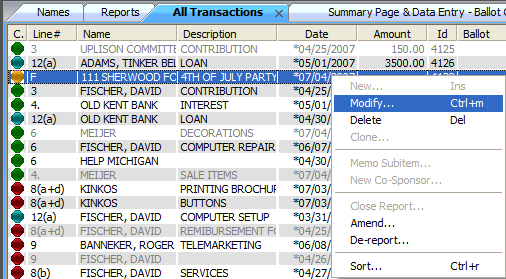 The All Transactions tab contains the transactions (contributions, expenditures, etc.) entered into the software. Transactions are modified or deleted from this screen. Note: An “m” will appear next to the transaction record for a Memo Sub-Itemization.